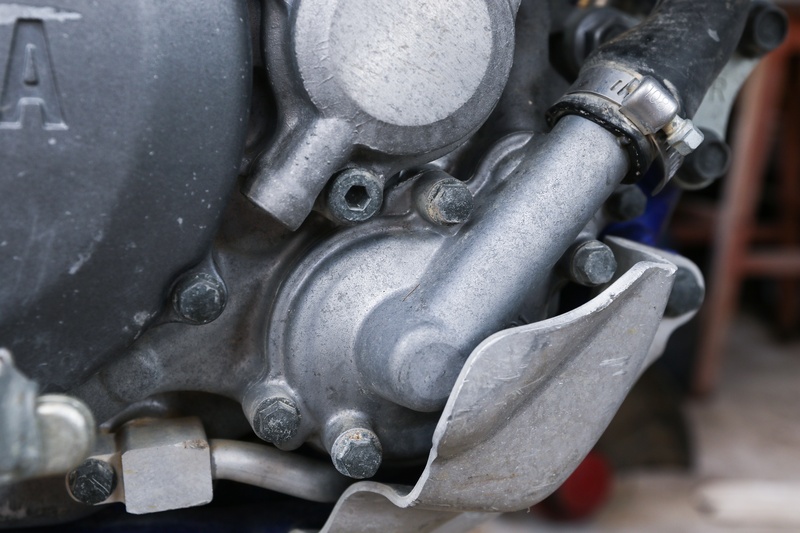 Many engine failures can be potentially prevented by knowing what signs to look for when maintaing your 4-stroke. 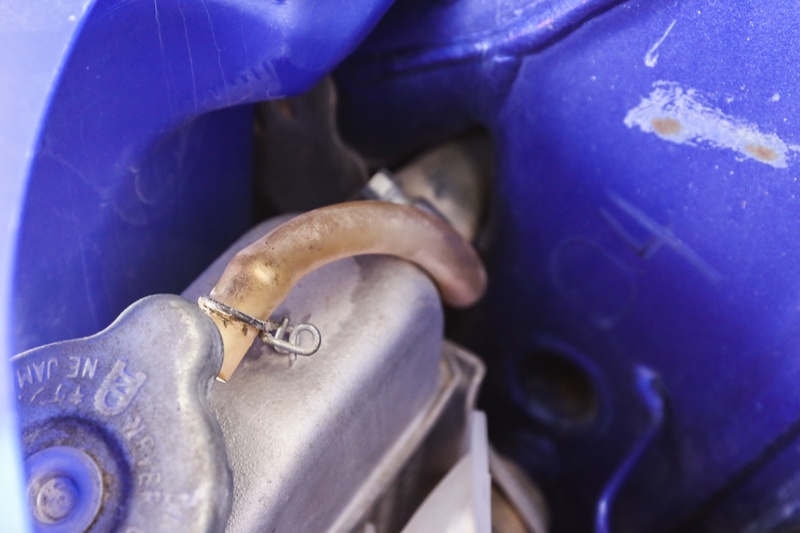 We put together 10 tips to help you know when your engine may need a little extra attention. All too often in the motorsports community we here stories of engines blowing up in spectacular fashion. These are gut wrenching tales of catastrophic engine failures that are often shared among friends, online, and bench raced as a form of universal currency. Whether its a rod exiting through the side of a crankcase, valves imprinting into the piston, or any other major catastrophe, these events illicit fear, confusion, and gratitude among engine owners. Fear that a similar event could happen to them, confusion as to how a massively destructive failure happens in the first place, and gratitude that it is someone else’s problem. 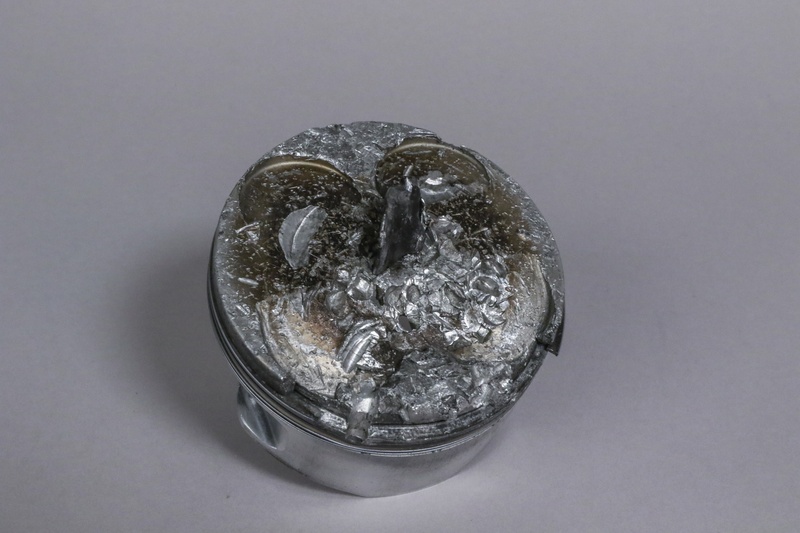 Nobody wants to end up with a piston looking like this. 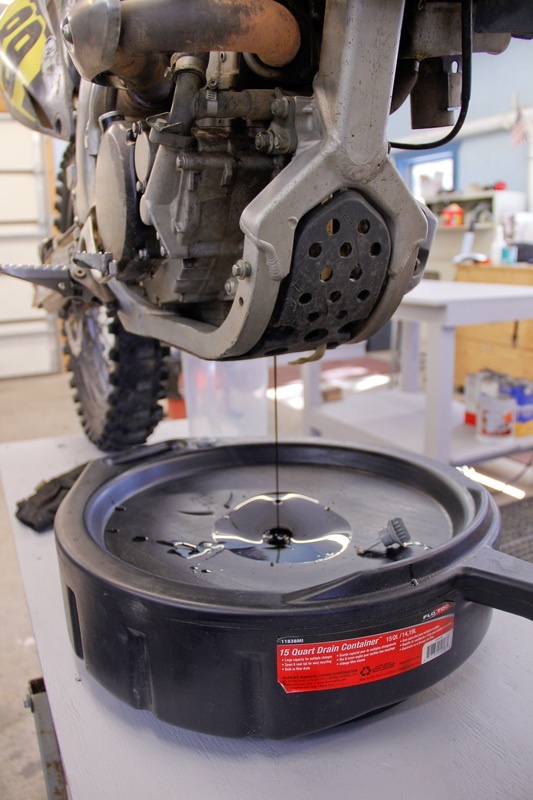 That's why we put these tips together to help you know when your 4-stroke engine might need some preventative maintenance. Today, we’re going to discuss things that can be done preventatively to your four-stroke engine that will greatly reduce the likelihood that you’ll be on the storytelling side of a major engine blow-up experience. Contrary to what you may have been led to believe, engines don’t often suffer catastrophic failures for no apparent reason. There are exceptions, such as running an engine with a defective part, but it’s not the norm. Engines will willingly exhibit a number of signs that failure is around the corner. Being willing to “listen” to your engine and taking the time to perform routine maintenance checks is often all that’s necessary to prevent an expensive disaster. We’ll start by reviewing a handful of observation opportunities that can be checked with the engine running, then we’ll get into some things that can be checked diagnostically. Does the engine struggle to start when kicked, but is more prone to coming to life when the electric start is used, or when the machine is bump started? Poor starting under normal conditions is not an inclusive sign that the engine is doomed to a spectacular failure, but it is a sign that something is amiss. Carburetion or injection issues are possible, but the bigger potential issue to be aware of resides within the cylinder head. Lack of compression usually correlates with startability issues. Valves or piston rings that are no longer seating properly may be the cause of the poor startability characteristic. When the valves or piston rings don’t seat properly, the engine doesn’t build good compression, so when kicked, the engine struggles to come to life. Push the machine or use the electric start, and the compression event is shortened via faster rotational speeds, which may be just enough to bring the engine to life. Sometimes tight valves and low compression issues can be temporarily solved with a valve adjustment, but there are most likely more worn parts that need attention. Take notice of how it feels when kicking it through. When you feel less resistance through the kick starter, almost as if you could kick it with your hand, the valves are too tight from wear on the valve train. In some cases, this can be solved with a valve adjustment using a shim kit. However, there's a good chance more items in the head are worn out and need attention. On many engines, the crankcase breather is vented to the airbox. 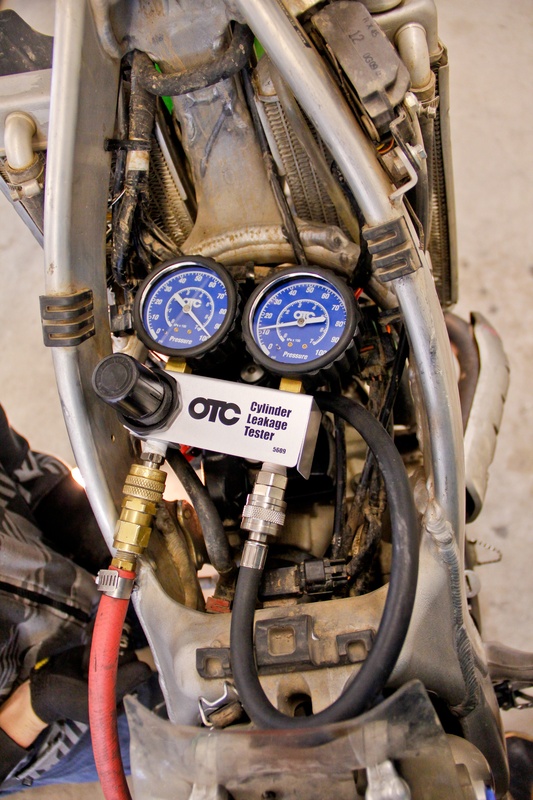 Oil accumulation in the airbox or observation of a large amount of oil mist blowing out the breather when the engine is revved, is a justifiable concern (the exception is if the bike spent some time running on its side) and should necessitate further investigation. Typically, higher than normal pressures in the crankcase are the cause of oil blowing out the breather. Higher than normal pressures can be the result of poorly sealing piston rings, which allow combustion pressure into the crankcase. Keep an eye out for oil exiting the crankcase breather hose, as this is commonly the result of higher than normal pressures, which could mean the piston rings are not sealing properly. Blue smoke exiting the exhaust pipe after the engine has warmed is a sign that oil is burning in the combustion chamber. Oil can enter the combustion chamber past the valve stem seals or pistons rings, so if this symptom persists then one of these components may be compromised. White smoke exiting the exhaust pipe after the engine has warmed is a sign that coolant is burning in the combustion chamber. The root of this problem is typically a leaking cylinder head gasket. Most coolant overflow tubes will lead down and out from underneath the bike. Keep and eye out for steaming coolant coming from the tube. This can be a sign of a bad head gasket. Check around your water pump after operation to make there is no coolant weeping out because of a bad gasket/o-ring. Coolant loss can lead to overheating, which can result in serious engine problems. Due to all the moving componentry found within the top end of a four-stroke engine, mechanical noise is often present. Discerning what is normal takes a trained ear and familiarity with the particular engine in question, however, audible cues often present themselves when components wear or clearances loosen up. The intensity of cam chain noise will increase if you're chain has become too loose for the tensioner to keep proper tension on. 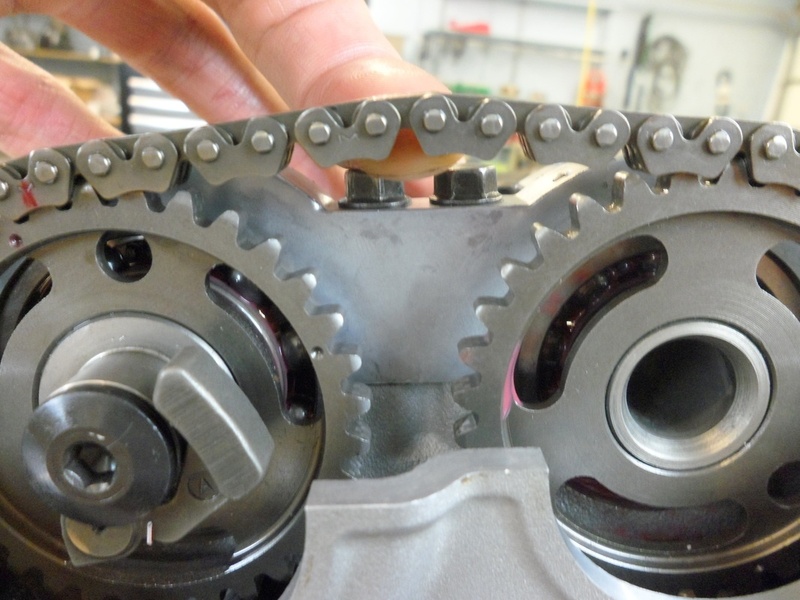 Cam chains whirling around will have a metallic noise associated with them. The intensity of the metallic noise may increase as the cam chain stretches or if the tensioner is not keeping enough tension on the chain. Valve train noise is rhythmic and can increase in intensity as clearances change and as the valve seats and valve faces wear together. Now that we’ve covered some of the live engine observations that can be made, let’s shift gears and discuss some more intrusive diagnostic assessments we can perform. 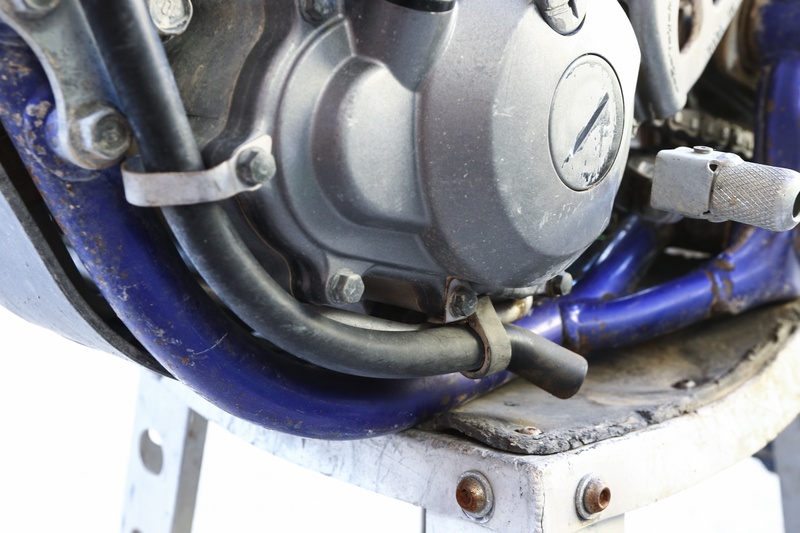 Check out our tips on replacing a 4-stroke top end here. Keep an eye out during oil changes for mettalic particles, particularly dark color, and a milky look. The composition of the engine oil can provide a lot of clues as to what is happening within the engine. For starters, what color is it and what is in it? Oil that appears milky is a good indicator that moisture is finding its way into the oil system. The most common culprit is a faulty oil side water pump seal. Extremely black oil may be due to poor maintenance practices on account of the owner or via combustion byproducts entering the oil stream at an abnormally high rate. Worn piston rings can be held accountable for letting in combustion gases and byproducts. A keen eye can spot various metallic particles within the oil itself. Aluminum will appear silvery gray. Bronze particles will have a gold shine. 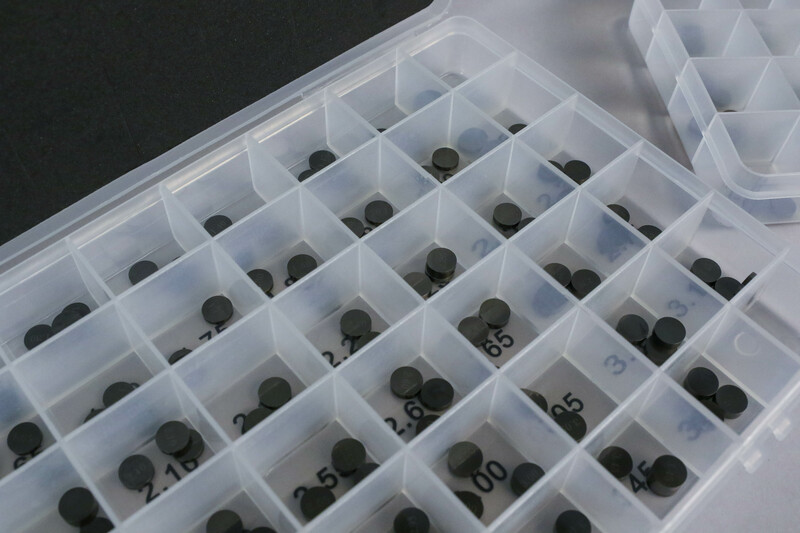 Ferrous particles will be dull and are often more discernable by dragging a magnet through the oil. Accumulation of all of these aforementioned particles will be normal in small quantities, however, excessive amounts of any of them could be cause for concern. Coolant contaminated with black specks can often be traced back to a leaking head gasket. Combustion byproducts are forced into the coolant system due to the high pressures in the combustion chamber during the combustion event. These black specks will often float and show themselves as soon as the radiator cap is removed. Check your coolant for black specs, as that is often an indicator of a bad head gasket. 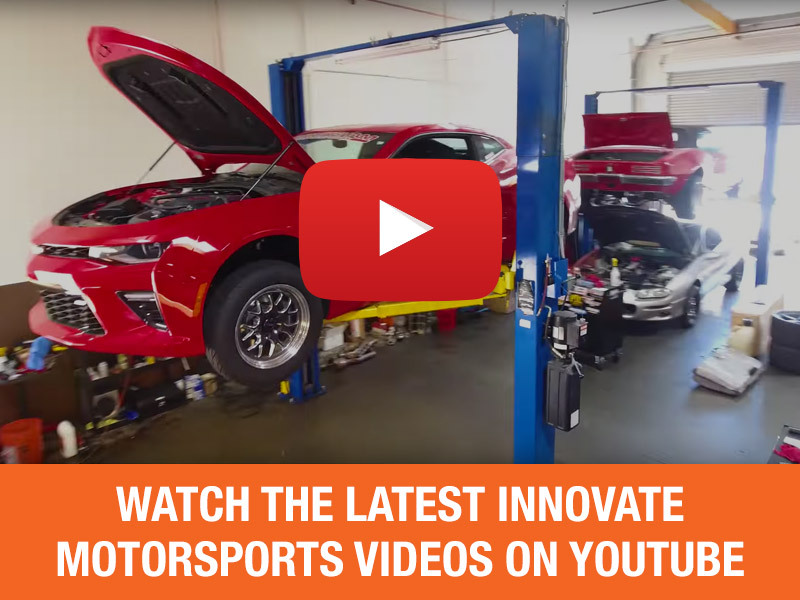 Performing a leak down test on an engine is by far the most definitive diagnostic procedure that can be performed to determine the health of the piston rings, cylinder bore, valves, valve seats, and head gasket. If any of the previously mentioned symptoms are observed, a leak down test is almost always a great next step. A leak down test pressurizes the engine’s combustion chamber and compares the amount of pressure going into the combustion chamber to the pressure that is retained. 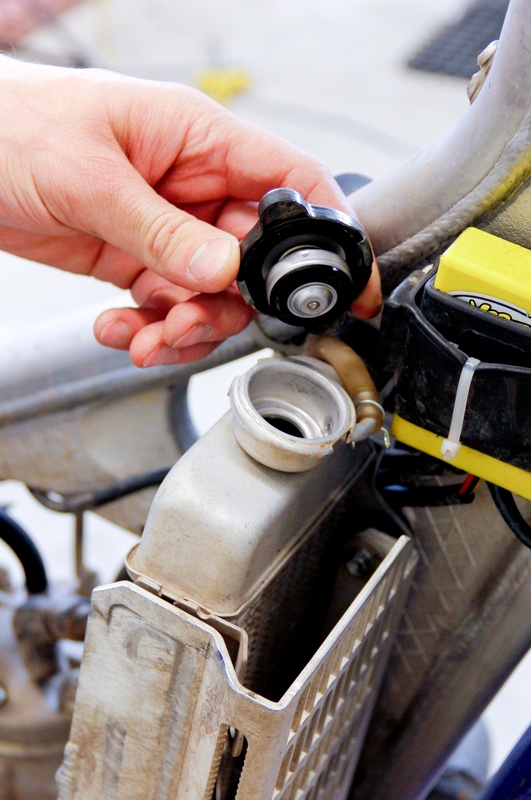 Pressurized air is administered via the spark plug hole and two pressure gauges are used to make the comparison. The piston is positioned at top dead center on the power stroke. Air exiting the combustion chamber can then be traced back to the valves, head gasket, or piston rings. Performing a leak down test is a great indicator of the health of your piston rings, cylinder, head components, and gaskets. Many of the problems discussed here are commonly caused by worn top or bottom end parts. If you find that you're engine is displaying signs of worn piston rings, valve train components, or bearings, your first thought may be, "how much is this going to cost me?" Luckily, expensive, premium aftermarket brands and overpriced OEM parts are not your only option. 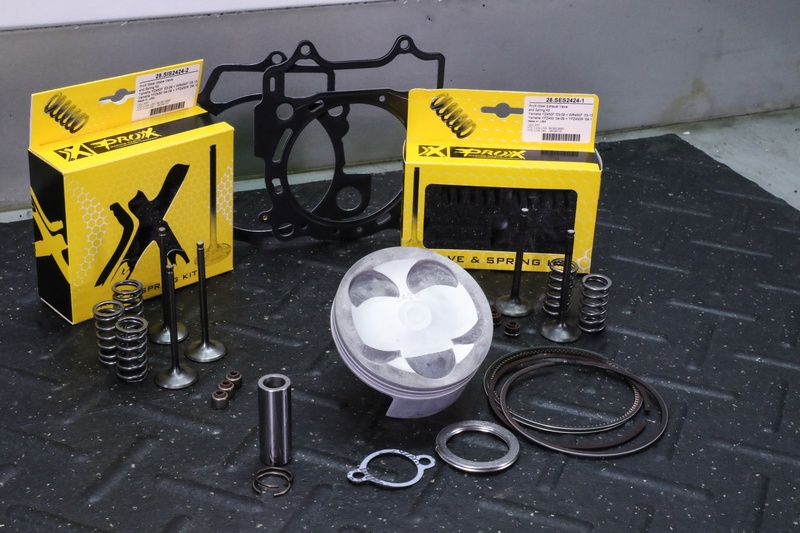 For example, ProX Racing Parts has a catalog full of OEM-quality replacement parts, many of them made by OEM manufacturers, but priced more desirably. 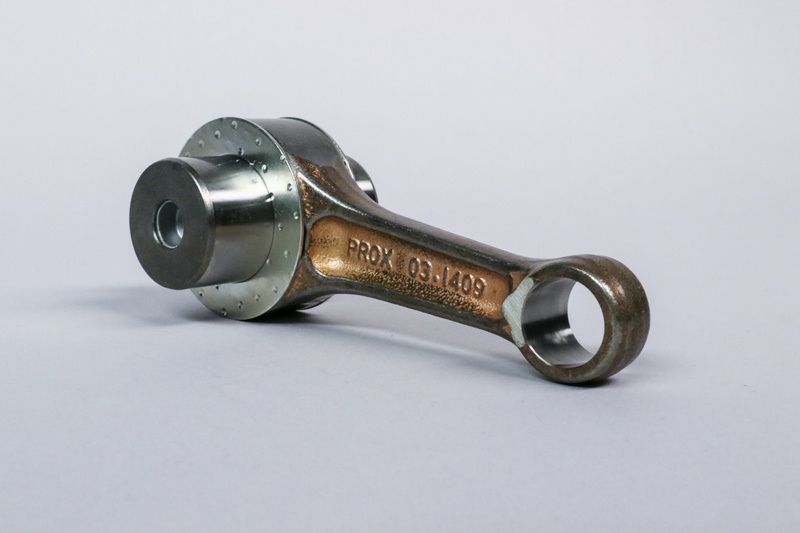 Depending on what you need to replace, affordable engine parts like piston kits, valves, cam chains, connecting rods, bearings, and gaskets can be found in the ProX catalog. Stay attentive for these signs of possible engine wear. It's always better to replace parts as preventative maintenance practice, and not because you're trying to fix something that is no longer functioning. It's always better to err on the side of caution when deciding if your engine parts are worn enough to replace yet. 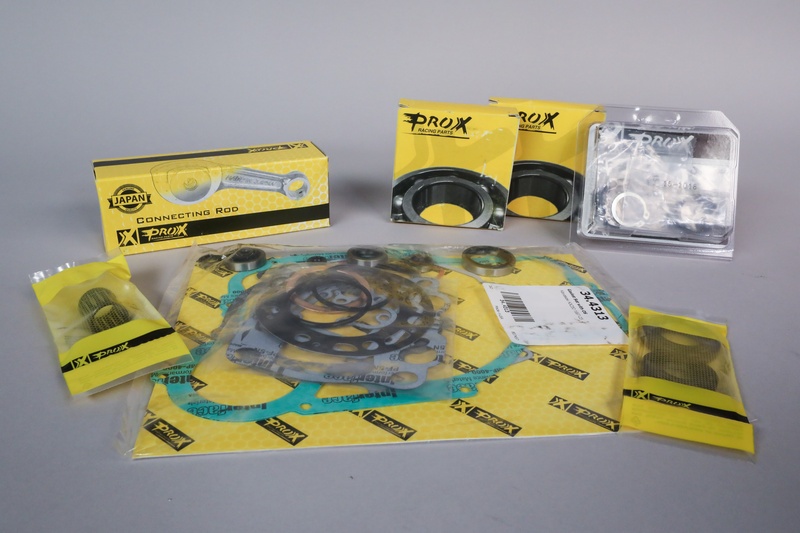 ProX parts are a great option for staying within budget while retaining OEM quality. Installing an hour meter is the best way to track critical maintenance intervals. We hope this discussion on observations and tests that can be made to assess engine health puts you in a better place as an engine owner. A couple other key points to keep in mind: discussing specific time intervals in regards to when things should be replaced is futile. The reason is simple: different engines, maintenance practices, and applications will all have different intervals. Installing an hour meter on your engine so that you can log the number of hours the engine has run can be one of the most insightful ways to establish maintenance and replacement intervals specific to your engine, riding, and maintenance habits. 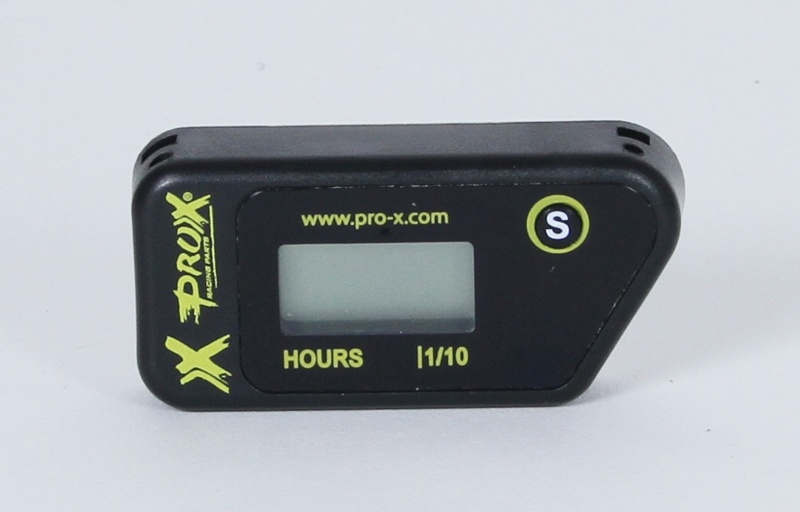 Find ProX parts for your application here.